Brent Nielsen earned his B.S. and M.S., with an emphasis on geotechnical engineering, from Montana State University. 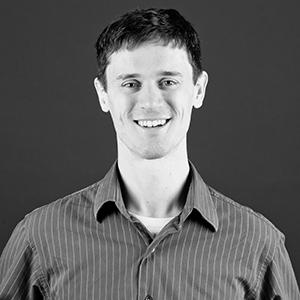 Brent joined Mackenzie in spring 2008 and previously worked for a local geotechnical engineering firm. Since that time, his knowledge and expertise has grown rapidly as he has taken on increasingly complex project responsibilities. While Mackenzie does not provide soils or geotech services, Brent's background in geotechnical engineering serves clients well in offering innovative solutions based on his past project work. Brent is a member of Mackenzie's Fun Committee and soccer team, as well as tiller for the firm's Dragon Boat team. "Solving a complex problem with a simple solution is the hallmark of a great design." Hiking in the backcountry, woodworking in my garage, or wrestling with my baby daughter. 46.20205 N, -121.49059 W, 12,281 ft elevation.